Spring, Mountain, Sea – This story is about an American man who marries an Asian woman (I think she’s from Korea). In ten pages, Edwards beautifully tells the story of their marriage, a delicate thing, touched by contrasting cultures and languages. The Invitation – This is about a middle-aged woman named Joyce who lives as an American ex-pat in Malaysia and has invited a new ex-pat wife, Marcella, over for tea. Though Joyce is intent on impressing and mentoring the young woman, Marcella instead leaves Joyce feeling like the outsider. Another great cross-cultural story! 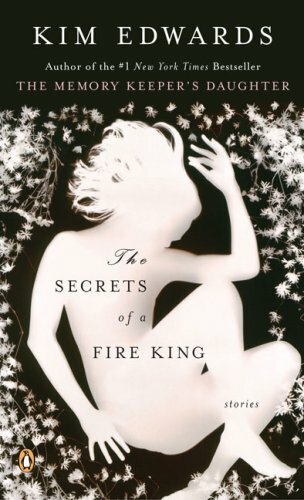 Thirst – Somehow, Edwards takes the story of The Little Mermaid – Disney version evidently because she’s now married and lives on land – and molds it into a believable narrative about a woman who longs to return to the sea. One night last week, as I drank glass after glass of water and yet craved more, I grew terrified of my own dark longings, and I began to weep. A tear fell on my tongue, and for an instant my great thirst was quenched. Then I knew. I went to the ocean. Like someone about to died from thirst, I pressed my lips to the surface of the water and I drank. I drank so deeply and for so long that I came up coughing, salt rushing through me like a wind. 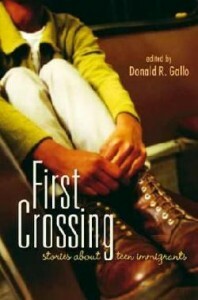 Honorable Mention: First Crossing, Stories About Teen Immigrants by Pam Munoz Ryan. This is a book of wonderful and harsh stories of teenage immigrants. I read several of these stories with my high school ESL students when I taught HS. It was amazing how well they handled these stories, and how they could relate. After reading a story about a boy crossing the border inside the motor of a car, a couple of my students told their border stories from when their parents brought them here when they were younger. I even let them break into groups and act out/videotape scenes from one of the stories in this book. This book is an honest look at the trials of immigrant teenagers in the US, and it really brings the whole immigration issue to a halt when you look at individual lives of these third-culture kids. I’m going to have to read these stories! Thank you for the reference here! My favorite collection of stories is “The Happy Prince and other stories” by Oscar Wilde.